Several Australian universities feature consistently in the top 50 universities in the world in respect of arts and humanities, health and life sciences, engineering and technology, physical sciences, and social sciences, and the country’s educational system is ranked 10th in the world by Universitas. Sending your child to study in Australia is a great step for their future employment prospects, and will help your child reach their full career potential. Working while studying is encouraged, and on a student visa your child will be entitled to work up to 20 hours per week during their studies, and for unlimited hours during the university break. But it’s not all about work and study: Australia has 5 of the 30 best student cities in the world, a ranking based on the student mix, quality of life, employer activity and affordability. Australia’s living costs are lower than those in the USA and the UK, and over $200 million AUD is provided by the Australian Government in scholarships for international students. There’s also the wonderful food culture, friendly and relaxed lifestyle, sunshine and wide open spaces that everyone in Australia enjoys, and Sydney and Melbourne are consistently ranked in the world’s most liveable cities. In that sense, it’s very similar to South Africa. The process of applying for a student visa is relatively straightforward: among other things, your child will be required to show that they have sufficient funds to cover their tuition, travel and living expenses for the duration of their studies, and must show that they have been offered a place in a registered course that lasts for at least four months at an Australian educational institution. It’s important to note that some universities have additional admission requirements: your child’s Matriculation Certificate will usually be sufficient, but pathway programs and recognition of prior learning are also often available. When applying for a student visa, your child will need to meet a list of eligibility requirements, but will also be required to prove that they genuinely intend to stay in Australia temporarily: this requirement often trips up student applicants. It’s important that the application for the visa is done correctly at first instance, because the fees for applying for the visa aren’t refunded if the application is rejected, and your child could also face financial penalties from the institution where they have enrolled to study. Additionally, rights of review in relation to the refusal are often extremely limited, and are subject to strict time constraints. It’s for these reasons that the assistance of a specialized migration agent is essential. If your child is granted a visa, your child is entitled to enter and live in Australia for the duration of their studies, and will have work rights in Australia for the duration of their stay. 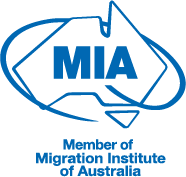 Once they’ve completed their studies, your child is entitled to apply for other Australian visas, including a skilled migration visa, which is a pathway to permanent residence in Australia. Studying the right thing is also crucial, if the intention is to remain in Australia for good. Studying in Australia is an excellent educational, career and lifestyle opportunity for everyone. Don’t risk your child’s future by self-managing the visa application process – speak to our qualified South African and Australian professionals today.